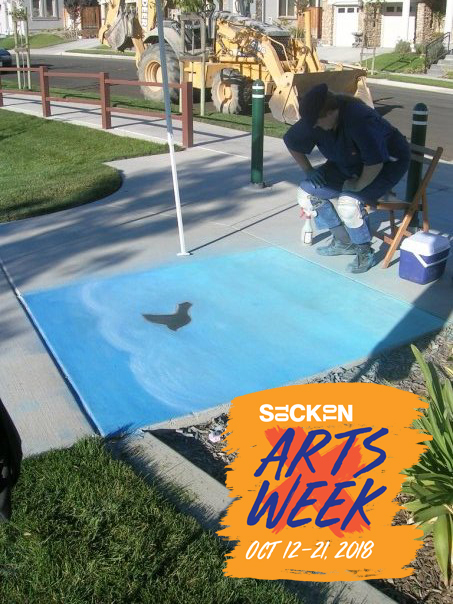 Celebrate Stockton Arts Week with a chalk festival on the Joan Darrah Promenade on October 20th. From 8 am - noon join us at a chalk festival on the Joan Darrah Promenade (Center and Weber). The theme is "What does peace look like." All ages welcome. Please register. Free chalk provided. Cash prizes. From 12:15 pm - 4 pm watch cultural performances and artist displays, walk the peace cloth labyrinth, make a flower mandala, create a community altar and do make and take art. The festival will be located at the McLeod Amphitheater and lawn near Center and Fremont Street. The Multicultural Peace and Light Festival is a Stockton Arts Week event sponsored in part by a grant from the Stockton Arts Commission.